Larus cachinnans 2CY KN48 May 17-23 2007, Łubna landfill, Poland. Picture: Ruud Altenburg. 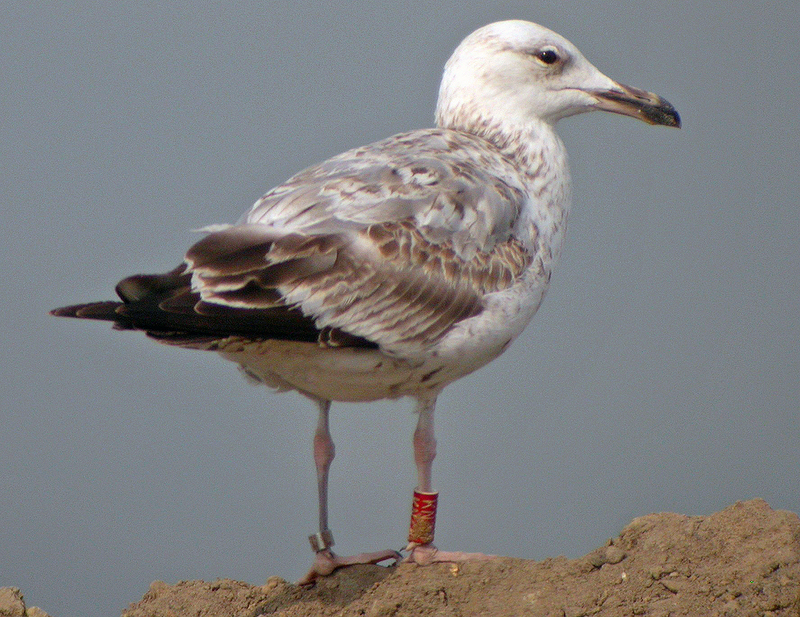 Ringed as a pullus red KN48 on July 14 2006 at Gatovo, Belarus, which is a roof-top breeding colony of mixed species "Larus argentatus-complex". 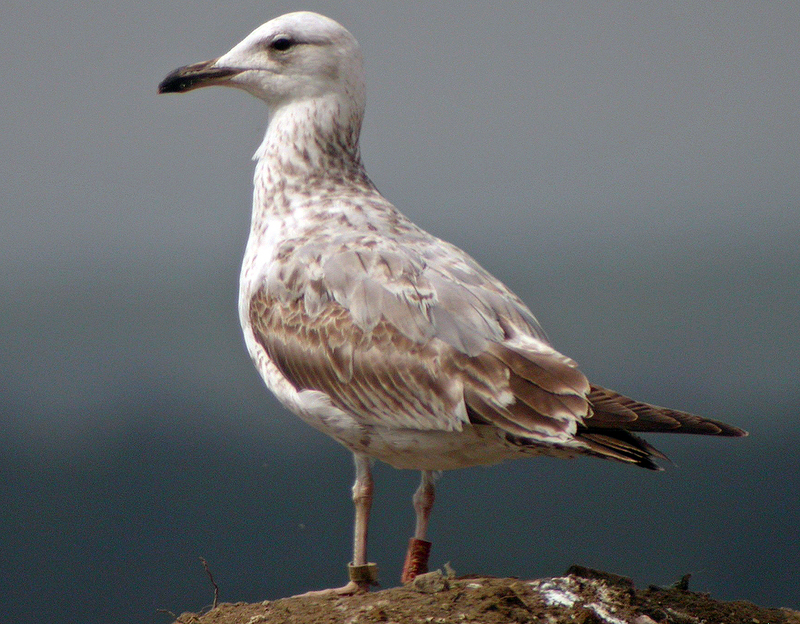 Short-legged bird, but probably pure cachinnans. 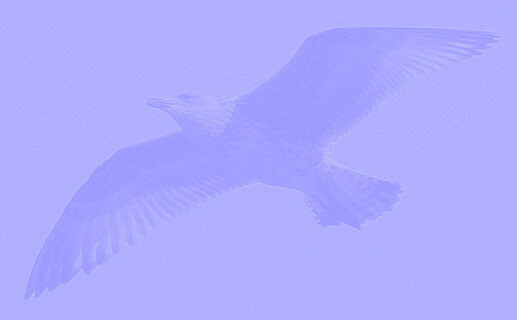 Bird in active complete moult, MC row missing, upper TT missing.